Michael Noori pots to 175,000 under the gun. 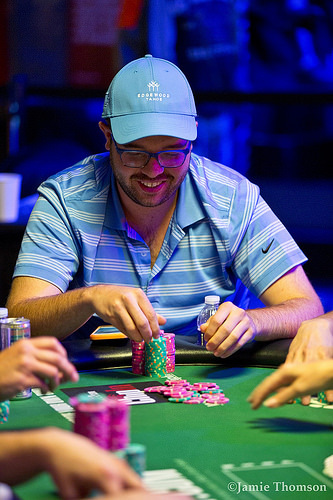 Dmitry Savelyev re-pots in the big blind and Noori commits his remaining 50,000. The board runs out . Savelyev's queens and sevens are good and Noori is eliminated.